Aegis Air Spoilers took the problem of interior cab dust and dirt residue inside UTV’s seriously and found a solution. Whether inside the cab or in the bed of the UTV, the Aegis Air Spoiler brings significant improvement in air quality, temperature, dust and film buildup, and cargo cleanliness. 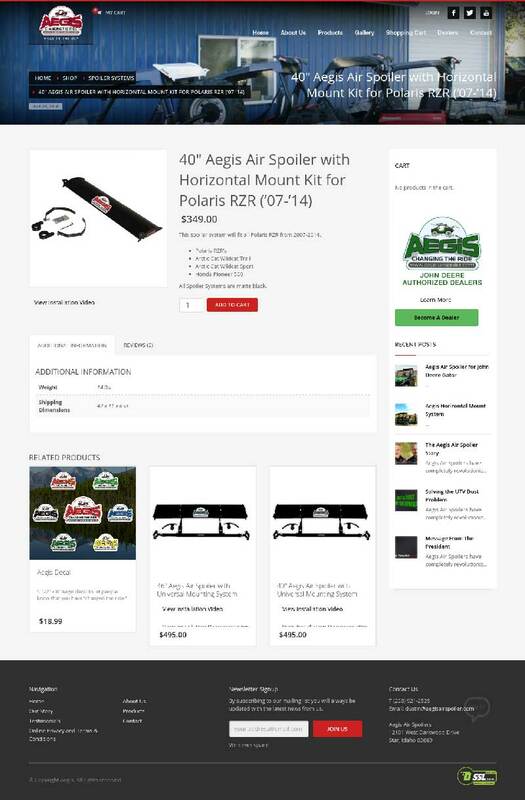 The existing Aegis Air Spoiler website was looking amateuris, and suffered from several usability and design issues. One of the largest problems was that the site did not adequately represent the quality product that they had invented. My initial task was to help redesign the site by leveling up their online image and bringing their website into the 21st century. 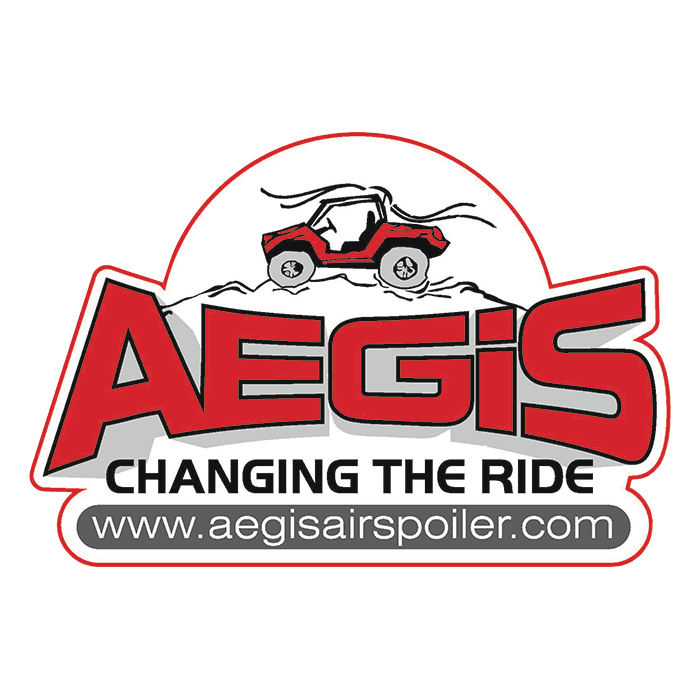 With a customized theme and some elbow grease the new Aegis Air Spoiler site was born. My second task was to design and setup an e-commerce store to sell their products to both end users and dealers. Utilizing WooCommerce as the platform I began to craft the online shop to meet their list of requirements. 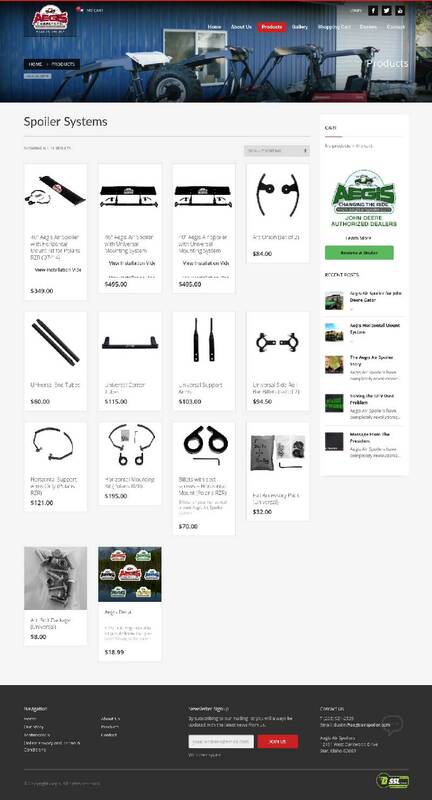 After using a little bit of elbow grease the site was released into the wild, the store operational and sales continue to roll in.